The first official meeting of the Atlanta TCC Chapter was held on Saturday, Oct. 28. 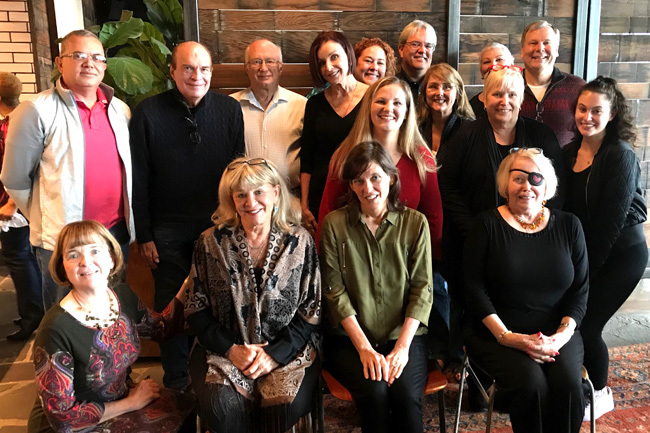 Seventeen members and guests from the greater Atlanta area met at Barcelona Westside Ironworks for a delicious tapas brunch. Members introduced themselves and shared recent and future traveling experiences. Highlights included hearing about cruises to Antarctica, traveling across the Indian Ocean, and last-minute trips to anywhere that is “72 degrees and sunny.” The next meeting will be held on Saturday, Jan. 27, at a private home in the Atlanta area. Future 2018 meetings will be held on April 28, July 28, and Oct. 27. All are welcome! Please email Kelly Thomas at travelerscenturyatlanta@gmail.com for more information and to be included on the email list.